DO YOU WANT TO KNOW TO INNOVATE? When your engaged in the process of creating a new part or new process how can you be sure it does not already exist? May be it was created for a different project, or may be a very similar part already exist and could be used for your this project if you only new it exist! 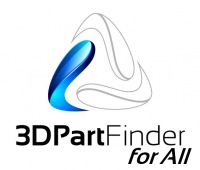 With 3DPartFinder for All Users a Non-CAD application working under Windows you can always find what is available before creating a new part… and then spend more time on a true innovation! Find using the geometry of a part as key to search! Select a part reference and search. Compare and analyse the search results with more efficiently! 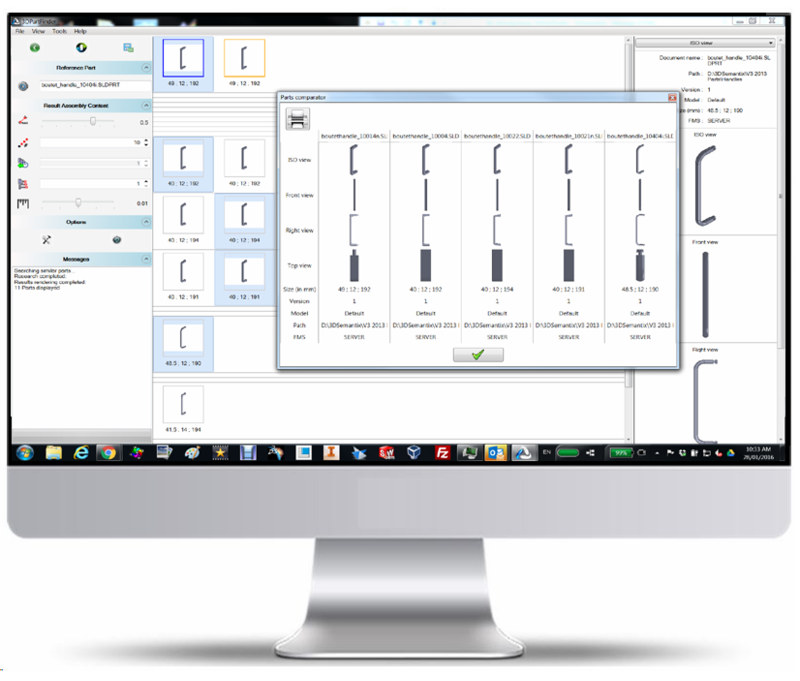 Access PLM Profile or Data card. One loved by the users: Results ranked by similarity to the reference part. 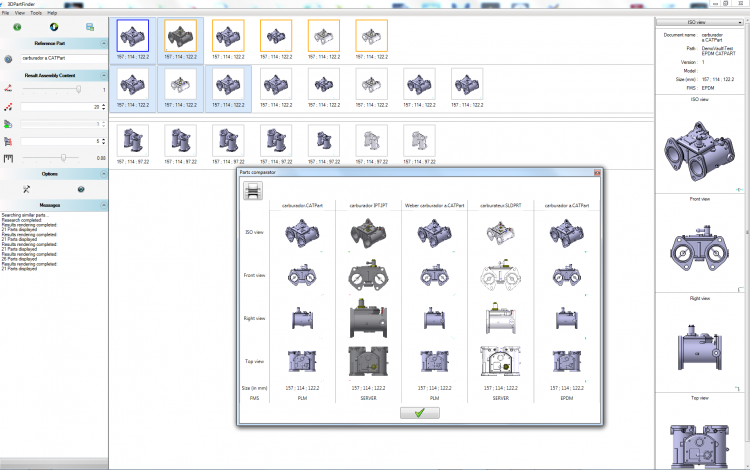 The results in different views are displayed in 3DPartFinder for ALL USERS for a comprehensive analysis. 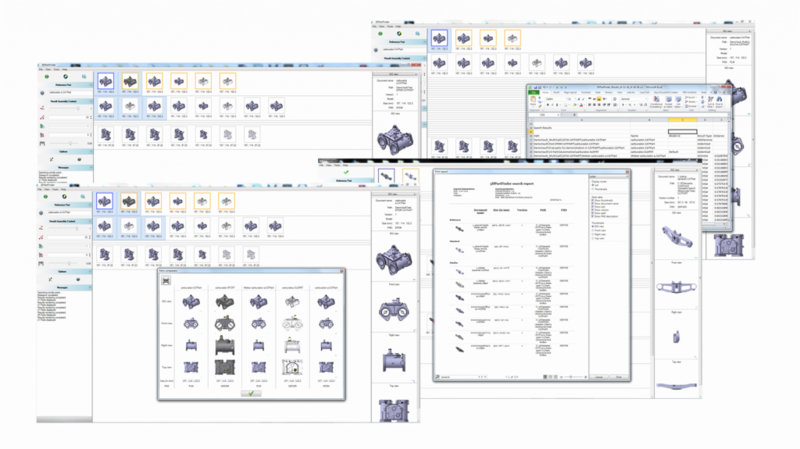 3DPartFinder interface directly with 3DPartFinder Server that supports several PLM systems to provide the best experience to users. The Server automatically index your new or modified parts in PLM or in Windows Server. Every time you create or modify a part we update the index. This helps you to concentrate on Innovation and improve your Productivity! 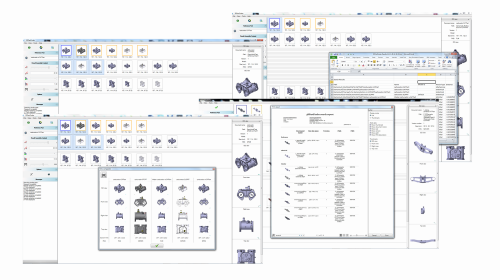 The investment we made to integrate our Shape-based Search Engine to all CAD PLATFORMS is for your benefit. We index the native CAD data which allow you to search and compare models with the highest accuracy with 3DPARTFINDER for ALL USERS. You can launch a search from any reference indexed in 3DPartFinder Server that supports multiple PLM or Non-PLM environements.